Popular author and literary icon, Buchi Emecheta is dead. She died at the age of 72 in London on Thursday. 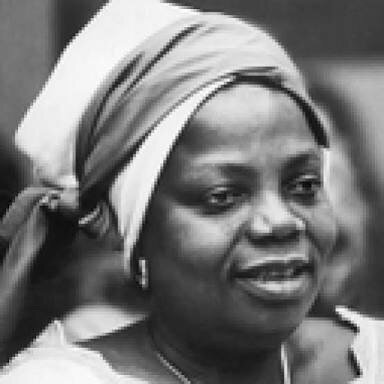 Though the real cause of her death is still unknown at the moment, but Nigerians on social media are pouring tributes to the renowned author whose works include, Joy of Motherhood, Second Class Citizen, among other. Until her demise, Emecheta was described as “the first successful black woman novelist living in Britain after 1948”. The current president of Association of Nigerian Authors, ANA, Denja Abdullahi said the death was a big loss to the Nigerian literary world. Abdullahi said Emecheta would forever be remembered for championing the agenda of the girl child through her works.We have lost a rare gem in this field. Her works would forever live to speak for her. “It is a sad loss to our circle and we pray that God would give the family the fortitude to bear the loss. “She was known for championing the female gender and we would forever miss her,” he said. Prof Agada said her demise was a big blow on the literary circle. “I got to know her through her literary works. In fact, she is one of the writers we relied on their works in the literary circle. Her death is a big blow on the literary circle,” he said.